Do You Need Travelers Insurance? 21 Jan Do You Need Travelers Insurance? Do you have plans to travel in 2019? You may not be thinking as much about travelers insurance when planning your trip, but in fact, it’s a good thing to consider. 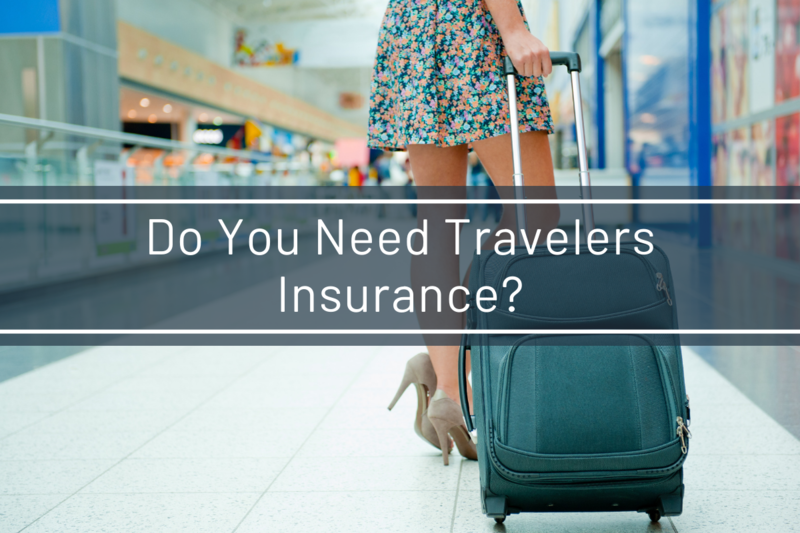 There are four types of protection incorporated into travelers insurance which is: trip cancellation, baggage, emergency medical insurance, and dismemberment insurance. Let’s take a look at your coverage in order to avoid extra expenses on your dream trip! If your trip gets delayed for an extended period or is unexpectedly canceled, travelers insurance has you covered. Independent and carrier-provided insurance policies present defense up to the amount you purchased. Trip cancellation is usually the principal reason why many people buy travelers insurance, so they have the assurance that if anything were to go wrong, they would be reimbursed for non-refundable flights. Having lost, stolen or delayed luggage happens more frequently than not. Travelers insurance will give you up to $500 per lost bag and $100-$300 for delayed baggage. We recommend traveling as light as possible and not bringing anything that is important or expensive with you. Putting most of your belongings in a carry on bag that will fit in the overhead compartment is generally the way to go. You never know when an accident or an emergency might take place, so it’s safe to be on the more prepared side of things. Travelers insurance will typically offer $10,000-$50,000 for emergency medical care if something were to occur while you are away. This is an essential reason to consider travelers insurance! While we hope this never happens if a loved one were to get gravely ill or pass away while on a trip, travelers insurance can pay up to $500,000. Dismemberment doesn’t happen very often, but if it were to take place, travelers insurance will be that safety net in case of an emergency. It’s best to keep your peace of mind while avoiding extra emergency expenses during travel. If you would like to open up an account with us, please contact us by calling us at 843-549-5476. Safe travels!